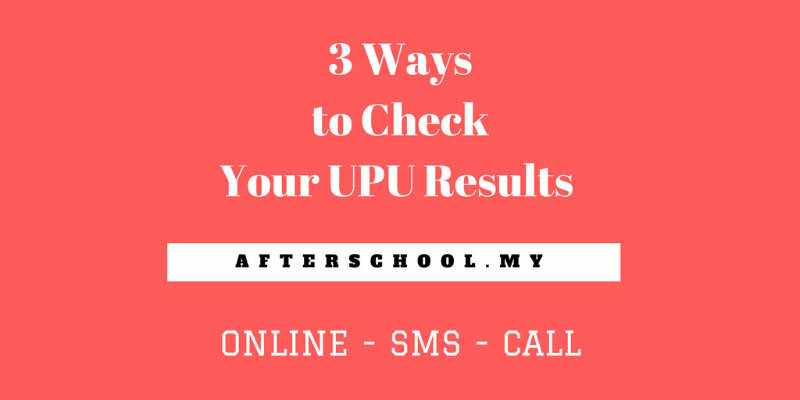 With UPU Results for ‘Lepasan STPM/Setaraf’ a mere two days away, we at afterschool.my thought it would be wise to share with you the 3 different methods in which you can check your UPU results. On top of that, we also have found commonly asked questions about UPU results as well, as well as the ‘Rayuan’ or Appeals process. So buckle up and brace yourself for the flurry of information that’s about to come your way! 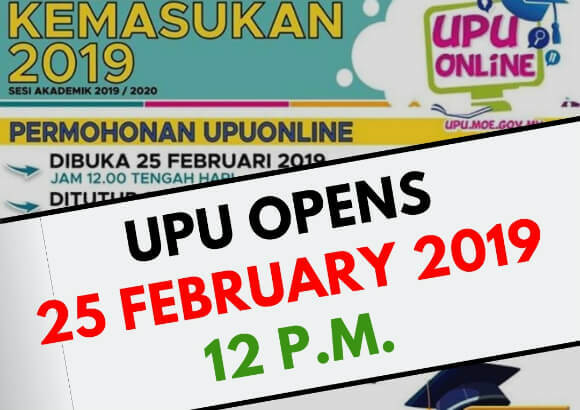 How do I check my UPU results? How would I know if I snagged an interview? Or have to sit for an exam such as the MEdSI Test? You need to check on the respective websites of the related UA/Polytechnic/Community College and ILKA . The related UA / Polytechnic / Community College and ILKA will also contact you to convey information about any tests or interviews. Finally, an SMS blast will also be sent to serve as a reminder for you to check on any interviews or tests. Make sure that the number you entered is correct. Will I be offered a place in a programme I did not select? For STPM / Equivalent applicants, you will only be offered programmes for your selected options only. If you are not successful in the first take, you need to appeal or apply for ‘Rayuan’ in programmes that you qualify for and in which there are still vacancies. If you are successful with your Phase 1 Appeal (Rayuan Fasa I), you will be able to register at the same time as those selected initially do. Those unsuccessful can try again during the Phase II Appeals (Rayuan Fasa II) subject to vacancy. If I make e-appeal (UPUonline Rayuan), can I choose the same subject as I did previously? Any success, as mentioned before, is subject to the candidate meeting the requirements as well as vacant spots. Applicants are advised to apply for another programme. Applicants are also advised to look into skills programmes because of the enormous opportunities available in the sector. Phase I: August 3, 2017 at 12.00pm until August 7, 2017 at 11.59pm. Phase II: To be confirmed (This is because the authorities must ascertain what courses have vacancies, and can only do so once the results of UPURayuan Phase I has been released). I have excellent academic results, but still failed to receive any offers. Why did this happen? The success of the applicant in gaining a spot depends on the merit arrangement and his/her choice in programmes they applied to. If the applicant’s merits are not very high and they apply for a competitive course, there’s a distinct possibility they will not be chosen. The same goes for those who select popular Public Universities as well, as many applicants do the same. Similarly, if the applicant only applies to popular Public Universities, they will face stiff competition and may not see a positive result. I got an offer through BPKP, JPT but I’m not interested in the course offered. Can I apply for a change of course? No, you cannot. Applicants who have successfully received offers to a Public University through BPKP are not allowed to apply for any change of course. The decision made is final.